Warranty Summary Company Standerd Warranty. 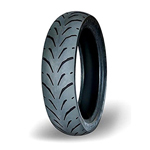 Many modern-day performance motorcycles come equipped with 140/60-17 sized tyres which are tubeless by construction and offer advantages like better grip on the road surface, reduced chances of punctures, improved handling and shortened braking distance. There are many patterns available for 140/60 17 tyre size that can perform very well both on dry and wet road conditions. 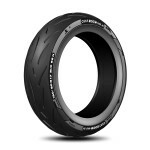 Some of the popular two-wheelers that use this size of tyre are Suzuki Gixxer, Suzuki Gixxer SF, Yamaha Fazer FI, Yamaha Fazer FZS FI and Yamaha FZ FI. 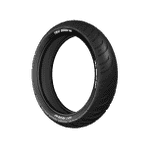 As far as the prices are concerned, a 140/60 R17 sized tyre is available in the range of Rs. 2,859 to Rs. 3,900 (approximate). The most popular brands that produce 140/60 R17 sized tyres in the market are MRF, TVS Tyres, Ralco Tyres, and CEAT. 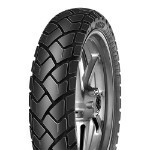 The list of popular tyre patterns available for 140/60 17 size includes CEAT Zoom, CEAT Rad X1, TVS Protorq Sport, Ralco Blaster Sporty and MRF Revz.